All the savory and tangy flavors of a classic Mississippi roast in a quick-cooking sloppy joe form! Just 30 minutes from pan to table! 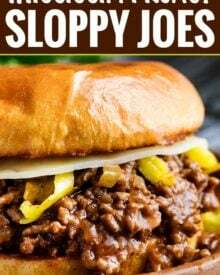 Last week I shared the absolute BEST homemade sloppy joes and you guys are already going crazy for it! I’m SO happy, because it’s one of my favorites! 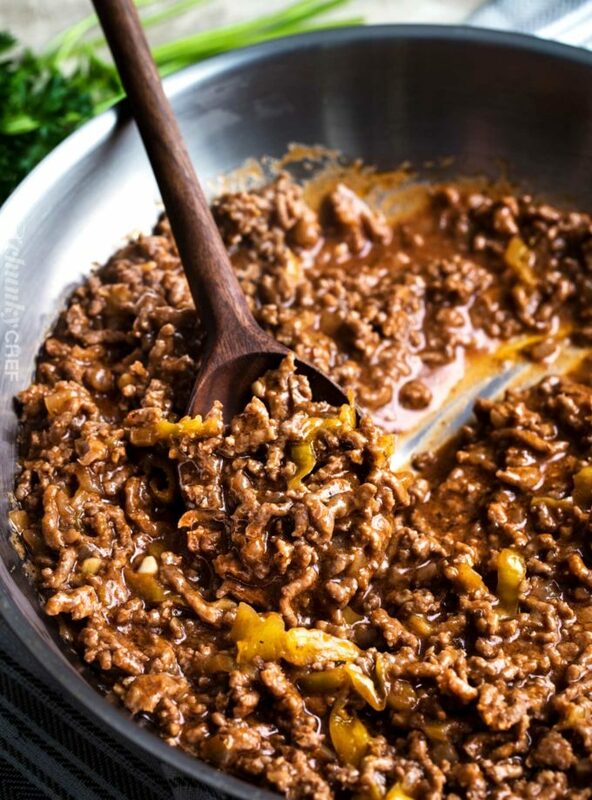 The idea for this twist on traditional sloppy joes literally came to me as I was driving down the road (does anyone else randomly daydream about food? ), and I immediately pulled into a parking lot so I could write the idea down. I LOVE the flavors in the famous Mississippi pot roast, and I’ve been working on perfecting a recipe to make it from scratch for you all. Traditionally it’s made with a packet of au jus mix and a packet of ranch dressing, which I always found made it too salty for my tastes. 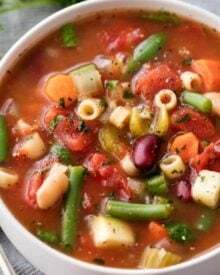 That “from scratch” recipe is in the works, but I wanted to bring some of those flavor elements into a quick-cooking weeknight dinner recipe. 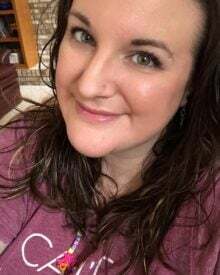 My friend Sabrina is the QUEEN of unique sloppy joe recipes (hello gorgeous Philly Cheesesteak Sloppy Joes! 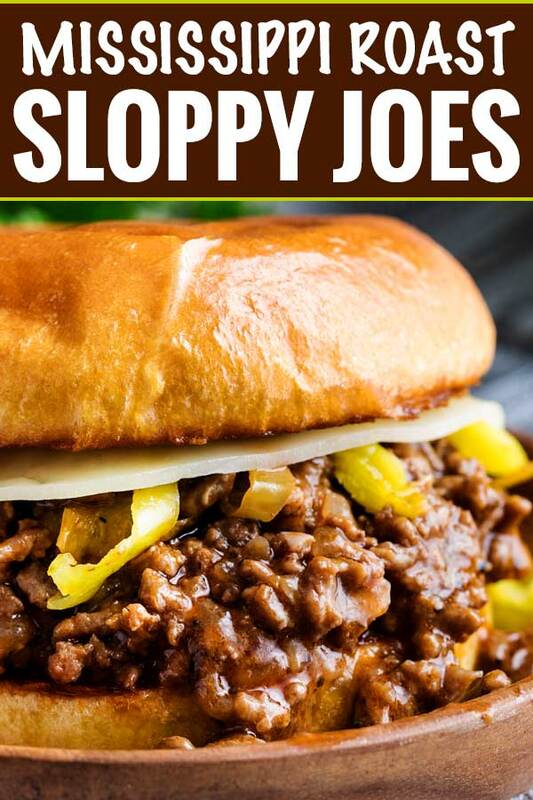 ), and I’m totally not trying to take over her place… so this rounds out my sloppy joe recipes (unless you all have some more requests)… but I hope you enjoy it every bit as much as I did! WHAT IS A MISSISSIPPI POT ROAST? If you haven’t heard of this internet sensation, here’s the breakdown. You add a chuck roast, packet of ranch dressing mix, packet of au jus mix, pepperoncini peppers (plus a little of the juice), and some butter to a crockpot and cook it on low until it’s fork tender (about 8 hours). It has a phenomenally savory and tangy flavor, similar to my Shredded Italian Beef! 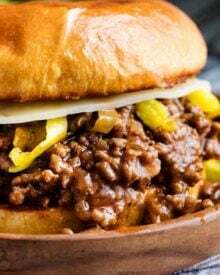 Mississippi roast sloppy joes are incredibly easy to make, and come together in one skillet in about 25 minutes or so. 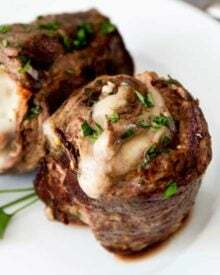 Browned beef is mixed with onion and a homemade “ranch” sauce and simmered in a savory beef sauce. The secret is in finding the right seasoning for the sauce! Spoon some over a fluffy baked potato! Spoon some over some crispy waffle fries. Bonus points if you also melt some cheese over the fries before adding the sloppy joe meat! Add some to a grilled cheese. Roll up in crescent roll dough and bake at 375 F degrees for about 12-15 minutes. 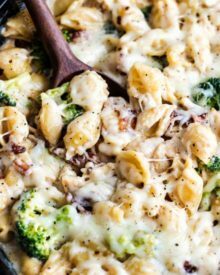 Shredded mozzarella or provolone cheese makes a great addition to these as well! Add some on top of a burger. 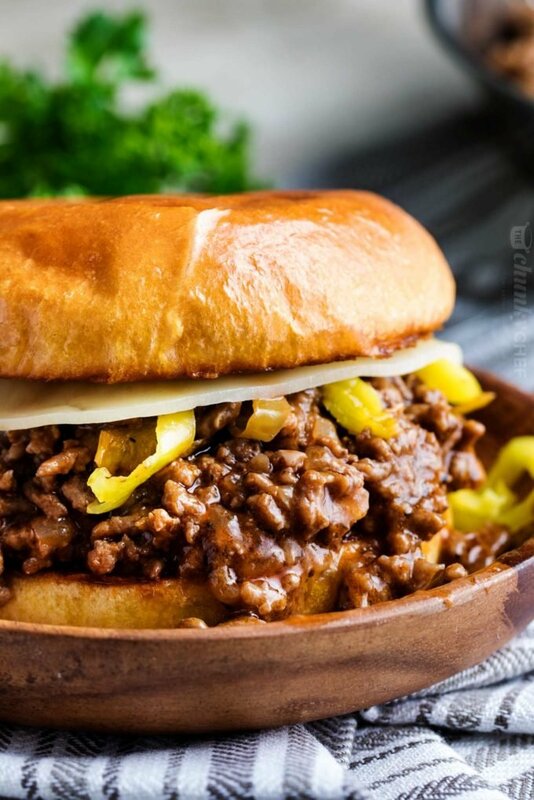 CAN YOU MAKE MISSISSIPPI ROAST SLOPPY JOES IN A CROCKPOT? Yes, you can! Just brown the beef and add all the remaining ingredients (no buns though), and cook on LOW for about 4-6 hours, or HIGH for 2-3 hours. This will have a softer texture than skillet sloppy joes though. Before you get started, toast your buns. 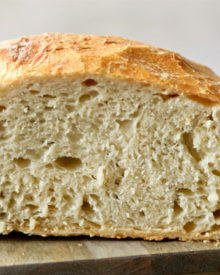 Toasting the bun makes ALL the difference, and only takes a few minutes. Crank up the heat under the skillet to high, and add a drizzle of vegetable oil. When the oil is hot, add the buns, then place the buns cut side up on a cooling rack after they’re toasted. Watch the sauce so that it doesn’t reduce too much. When too much of the sauce reduces, it gives you a dry sloppy joe mixture. Everyone likes theirs a little differently, but for me, I cook it down so that I can see the bits of meat, and when I drag my spoon through the sauce, it leaves a trail where the sauce is parted. If the sauce immediately flows back into that trail, it’s too liquid-y. 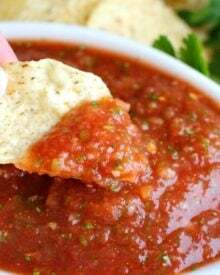 I want a few seconds before the sauce covers the trail, which gives me a saucy consistency that’s not too liquid. Choose your favorite type of bun. I usually go for either a pretzel bun (like I did in these Beer and Chorizo Sloppy Joes! ), or a brioche bun. Skillet – I like to use either stainless steel or cast iron for this, as they both give a great sear! Wooden plate – I love these for sandwiches! 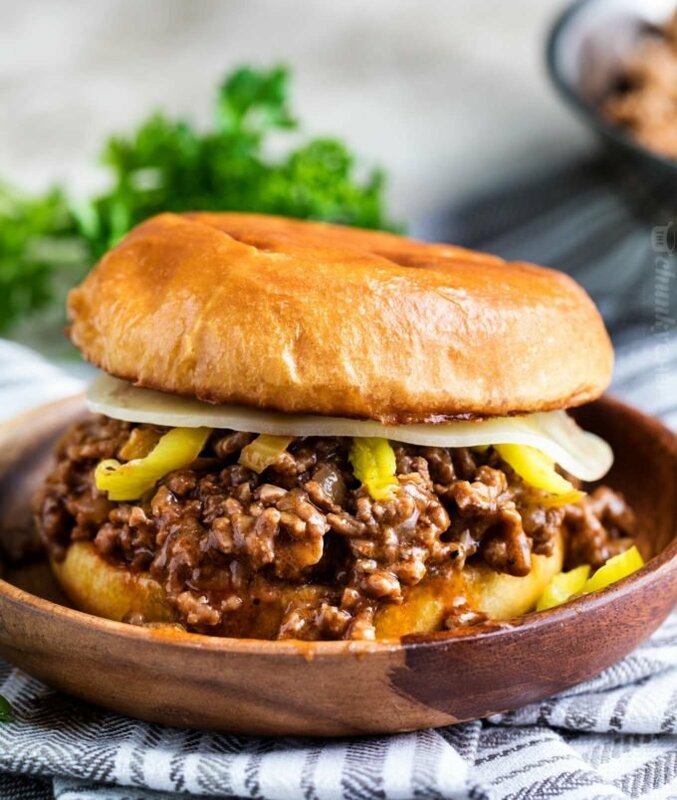 Tangy and savory Mississippi pot roast flavors come together in this quick-cooking sloppy joe recipe! To a large skillet, add olive oil and heat over MED HIGH heat. Add beef and cook, crumbling as it browns, for about 4-5 minutes. Drain beef and set aside on a plate. To same skillet, add onion and cook another 4-5 minutes, stirring just occasionally, so the onions are softened, but a little charred on the edges. Add the beef back to the pan, along with the minced garlic. Cook about 1 minute. Reduce heat to MED. Season with salt and pepper, then add in sauce ingredients (mayonnaise, vinegar, milk, dill, paprika, and pepper juice), and stir well to combine. Stir in peppers, Worcestershire sauce and ketchup. Top with butter and stir until melted. In a small bowl, whisk together beef broth and cornstarch. Pour into the skillet and cook, stirring often, until thickened... usually about 5 minutes or so. LOVE this idea! These look like the ultimate comfort dinner. Need to try soon! I would like to try your recipe for lunch. 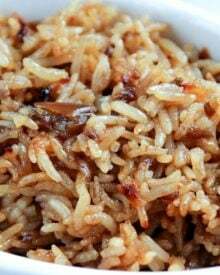 I want to thank you for this great recipe! Looks very tasty. This is really fantastic! My family will surely love this! Oh my, this looks absolutely delicious!! My family would LOVE it!! Looks incredibly delicious! 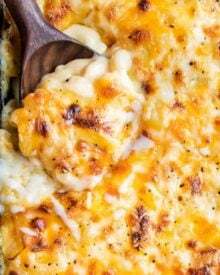 My whole family would go crazy for this, can’t wait to try this recipe! OH, my goodness! 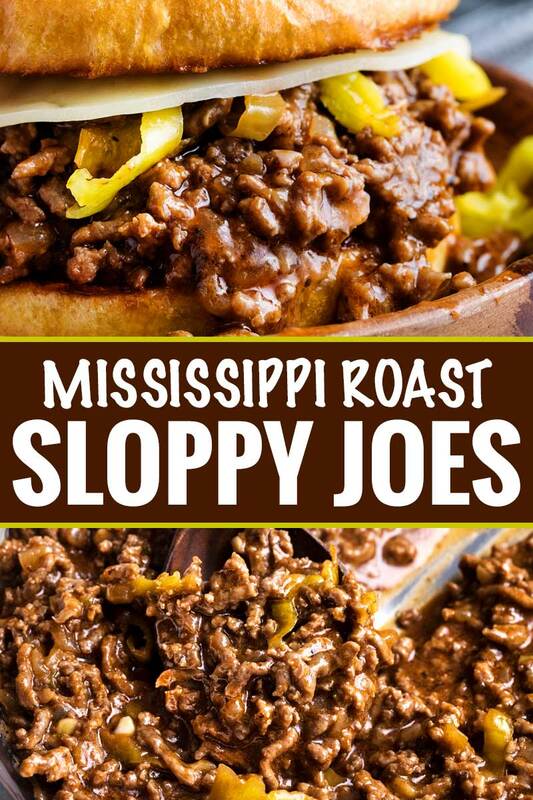 I never had a Mississippi roast and now I’m just craving these fabulous Mississippi Sloppy Joe’s…just love! This looks like one hearty meal! Perfect especially now that it’s getting cooler.